Is there a way to look casual and classy all in one hit? There is now! 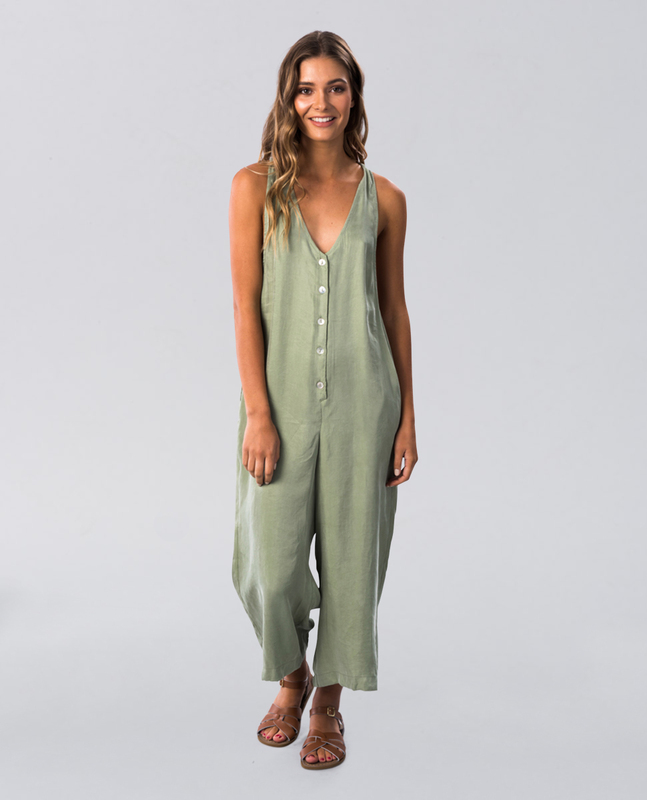 The MINKPINK Border Line Jumpsuit Sage has an elegant relaxed fit and mid-calf length, complete with button-up front and V-neckline.